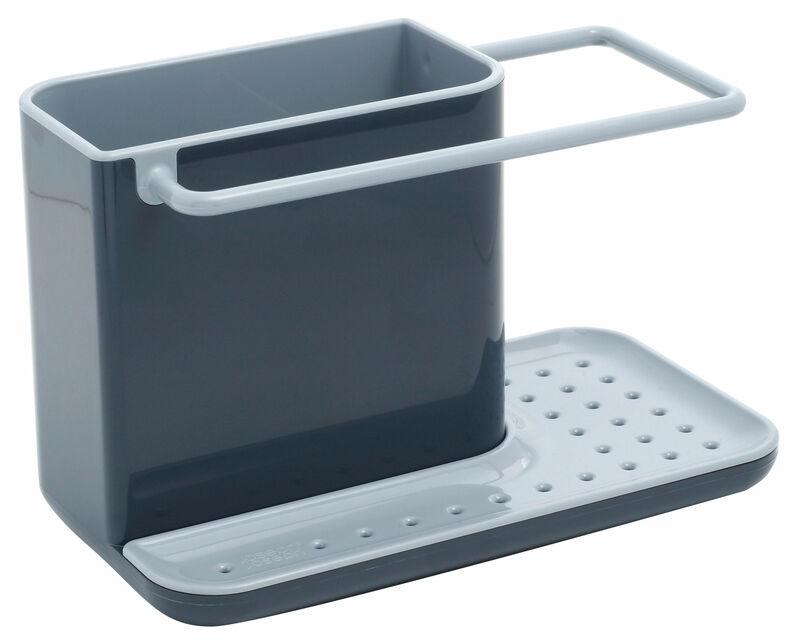 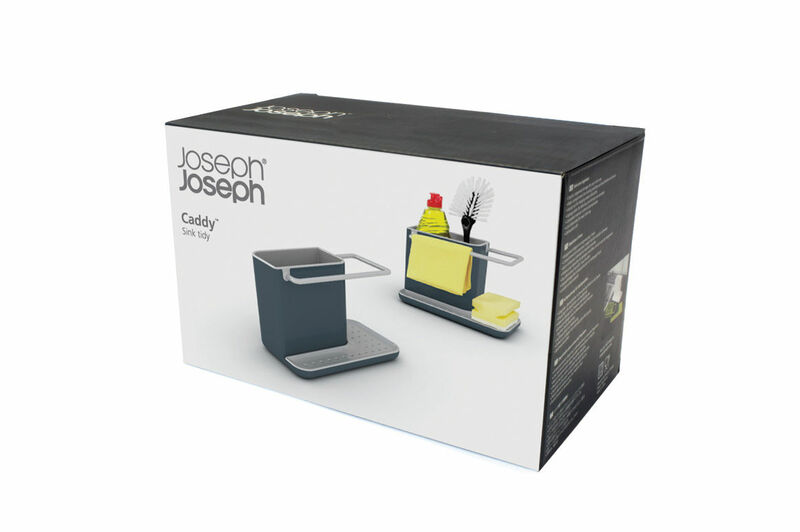 The washing up has never been so organised, with this highly practical design. 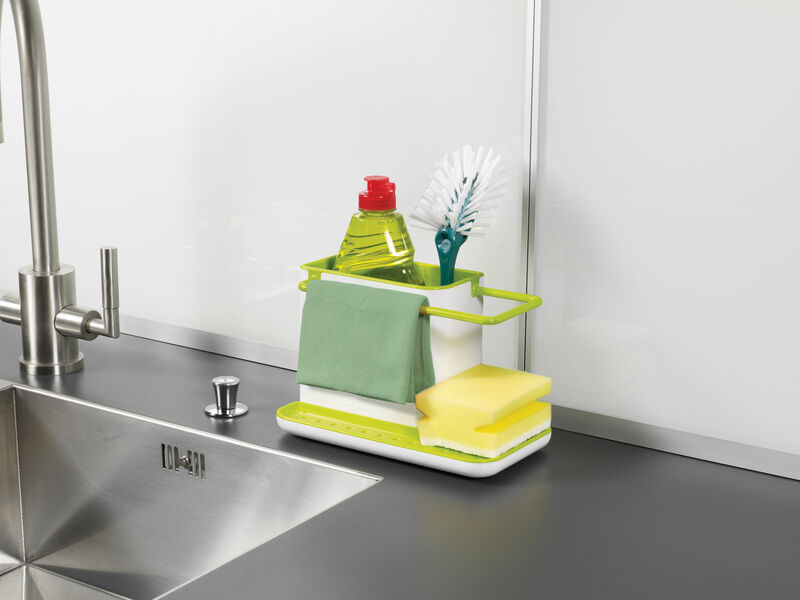 The main body of the unit provides ample space for storing a washing-up liquid bottle and brush, and the integrated rail provides hanging and drying space for damp dishcloths. 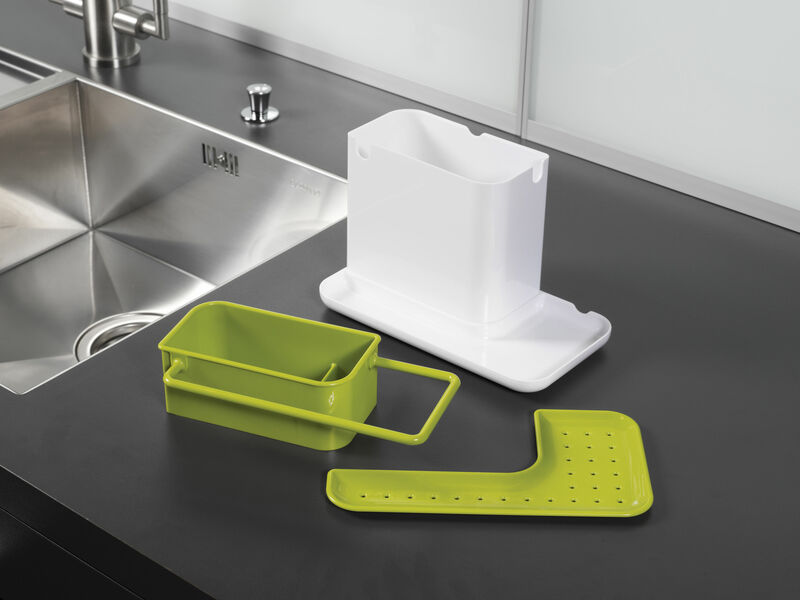 A large draining plate within the base creates a dedicated area for placing wet sponges, and the concealed reservoir beneath the unit collects any drained water ready for disposal. 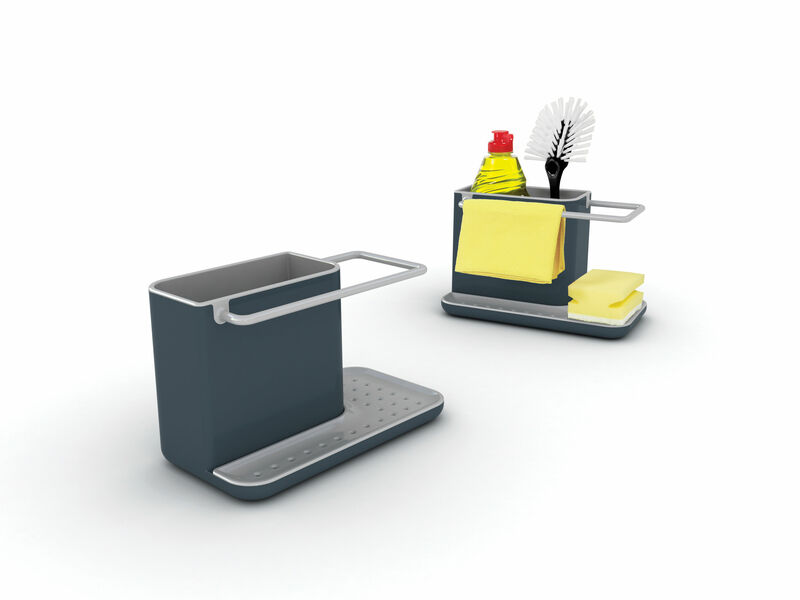 The entire unit can be dismantled for easy cleaning.